Your browser doesn't support embedded videos, but you can download it and watch it with your favorite video player! Arborbrace has been creating innovative labor saving products for the Professional landscaper since 1998. Our tree guying system has quickly become one of the most respected and admired systems among professional landscapers and landscape architects. Are you properly protecting your Palm investment? Arborbrace has created new industry standard for securing braces to a tree or palm's collar. Five improvements in one easy-to-use design makes Arborbrace the professional alternative to traditional metal banding methods and is the reason Arborbrace was awarded the first U.S. Patent for a palm bracing system. Yes we have webbing. Our durable UV-coated tree-tie webbing is the choice of landscapers. It is available in 150' and 300' spools and has approximately 900# break strength. The olive drab color to blend into the landscape. We can provide it to you at a price that leaves the competition scratching their heads. Arborbrace is everywhere. 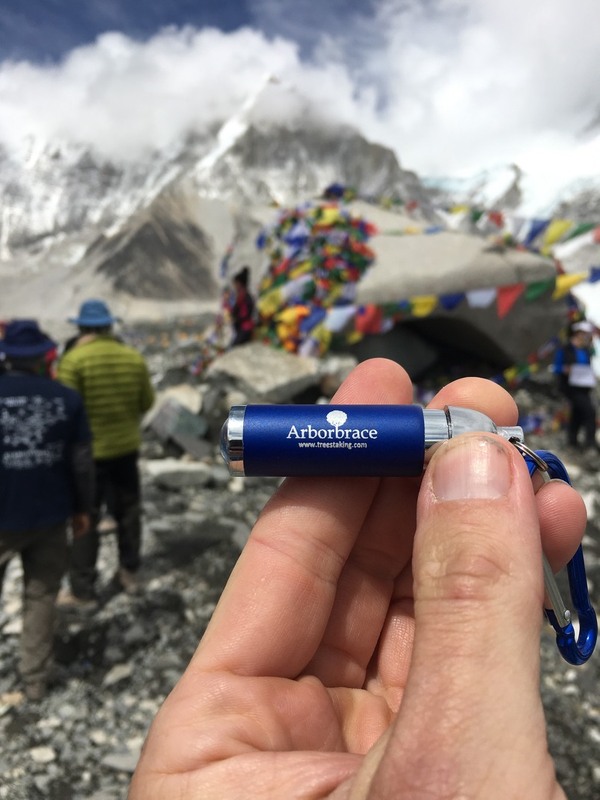 We just recently were found at Mount Everest Base Camp. One of our latest Projects! 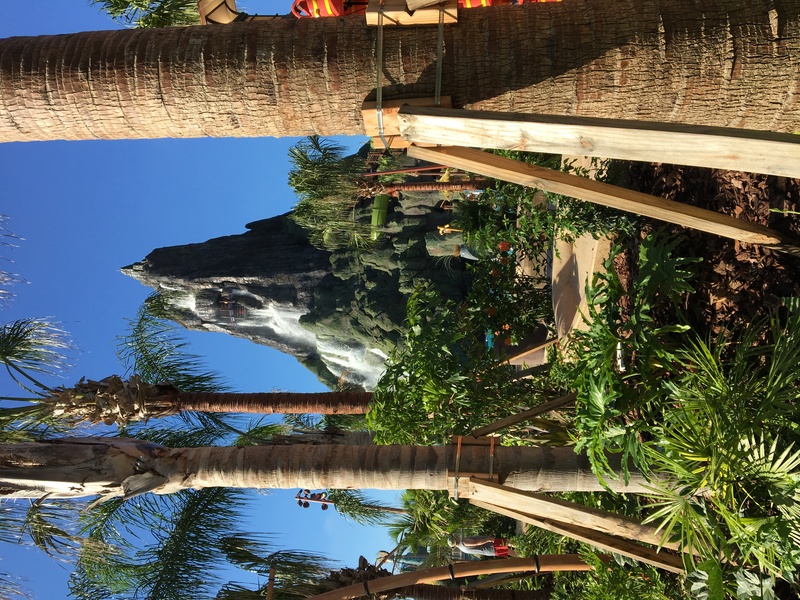 Volcano Bay Resort at Universal Studios Orlando.